If you have felt the sting of rejection and spiritual abuse, A Beautiful Kind of Broken provides practical information on healing and total forgiveness. Written for those in leadership, as well as all those who submit to leadership, this book brings hope and restoration to people of all walks of life, building a solid foundation for the church and ministry community. 'If you have lost your identity along lifes journey, know that the steps leading back to destinys path are illuminated by the Holy Spirits light and love. A Beautiful Kind of Broken addresses the pain caused by abusive churches and misguided ministry communitiesan experience many have known but have never dealt with in a healthy-closure way. Seeking and finding your identity in Christ and welcoming the Holy Spirit as your Divine Counselor is the first step to returning to your God-given destiny of an abundant and joyful life. If you have felt the sting of rejection and spiritual abuse, A Beautiful Kind of Broken provides practical information on healing and total forgiveness. 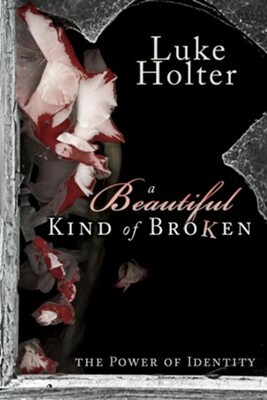 I'm the author/artist and I want to review A Beautiful Kind of Broken: The Power of Identity - eBook.